Job opportunities in the aviation industry are expected to increase over the next two years with major growth to be seen in ground operations, customer service and cabin crew, a recent survey revealed. The survey of Human Resources professionals in the aviation industry, conducted by the International Air Transport Association's (Iata), highlighted key challenges in talent acquisition, training and retention. 48 per cent of the respondents reported that finding new talent is a challenge, both because of the lack of availability of candidates with the right skill levels and qualifications as well as, in some cases, salary demands of new applicants. Only 28 per cent of respondents reported that current training is effective, with many organizations seeking to complement their in-house training with external partners to improve the effectiveness of the training, the survey said. While technology is indeed changing the customer service role, it is not replacing it. "Approximately 75 per cent of respondents expected an increase in customer service, ground operations and cabin crew jobs over the next two years. That is higher than the 65 per cent of respondents that expect growth in security jobs and 63 per cent that expect growth in regulatory positions," it said. "It is an exciting time to be in this business," said Guy Brazeau, Iata’s director of training and consulting. "We were really looking forward to receiving the results of this industry survey and we hope it can be helpful to guide HR professionals in their decisions regarding staffing planning, training opportunities and areas to focus on as our industry grows to unprecedented levels. 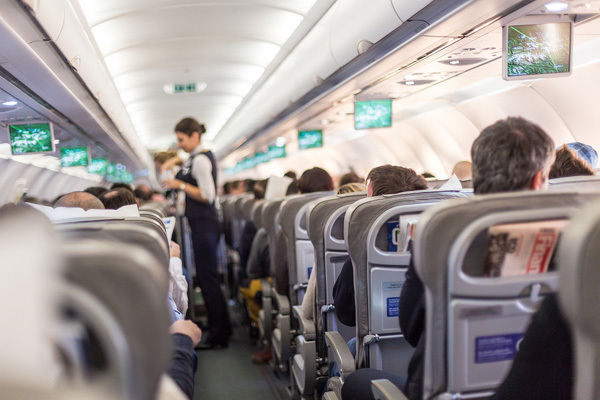 The forecast growth in passenger traffic will necessitate careful planning in the appropriate staffing levels across many job categories in the industry. Iata commissioned market survey experts Circle Research to learn more about how HR decision-makers were managing the retention, training and recruiting of skilled professionals to fill the anticipated job gaps.